Hillary Clinton could draw from the private sector for her presidential cabinet should she win the White House. Here are seven execs who might be a good fit. If Hillary Clinton wins the presidency in November, who will join her in the White House? The tight-lipped Clinton campaign has given few clues, though the former secretary of state did say in an interview with MSNBC's Rachel Maddow earlier this year that her cabinet would be at least half composed of women. "I am going to have a cabinet that looks like America, and 50% of America is women, right?" she said. That doesn't quite narrow it down. Bernie Sanders said in a June interview that he wouldn't mind having a position in Clinton's administration -- and there is speculation that Clinton will need Sanders by her side. But that still leaves many posts left to fill. Where will her advisers come from? A number of names from the public sector have already been floated as potential Clinton cabinet picks -- Tom Perez, Michèle Flournoy and Terry McAuliffe, for example. And close Clinton allies like long-time associate Cheryl Mills and Clinton campaign National Spokesman Brian Fallon have been in the mix as well. But the former first lady, who herself has held board positions at Walmart (WMT - Get Report) , TCBY and Lafarge, could find cabinet members in the private sector as well. And if she does go that route, here are seven executives who could be a good fit for the Clinton administration. These names were drawn from already available public speculation as well as conversations with former Clinton advisers who are familiar with the candidate's thinking. 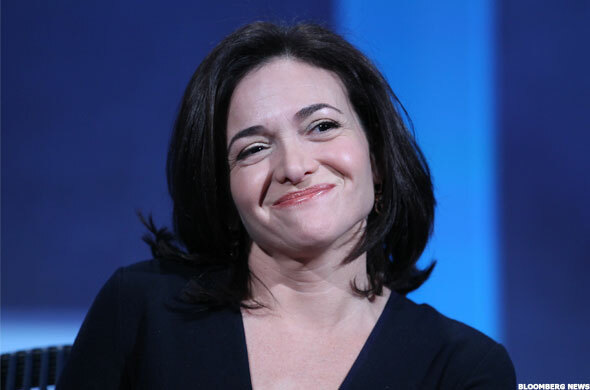 Sheryl Sandberg currently has her hands full as COO of Facebook (FB - Get Report) , but Clinton could come calling. There is considerable speculation that Sandberg could be a candidate for Secretary of Treasury, Politico reported earlier this month. Sandberg served as chief of staff for Larry Summers during his tenure as Treasury Secretary under President Bill Clinton's administration, where she helped to lead the department's work on forgiving debt in the developing world. Sandberg in 2015 said she would like to see Clinton in the White House and in June was part of a group of major business leaders endorsing the former secretary of state. She has donated to the Clinton campaign as well. Sandberg's appointment would also be historic, as she would be the first woman Treasury secretary. While historic for the country, it might be bad for investors in Facebook, as TheStreet's Jim Cramer pointed out on Twitter. 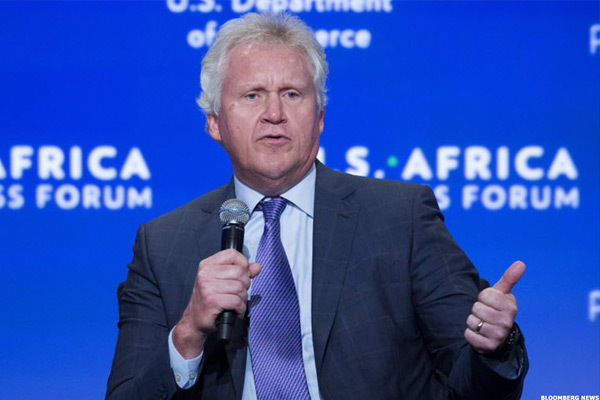 General Electric (GE - Get Report) CEO Jeff Immelt has historically leaned right politically, but he has demonstrated interest in working with the left, too. 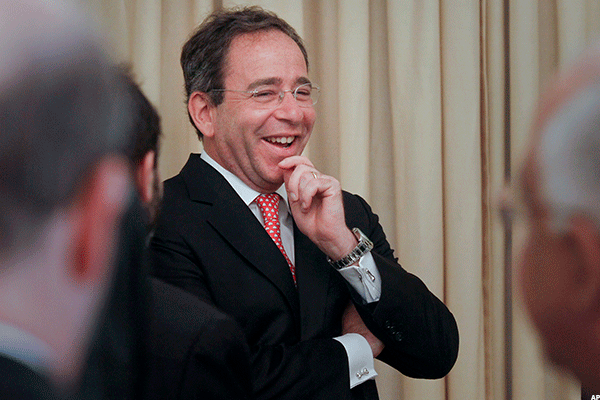 The executive was appointed as a member of President Obama's Economic Recovery Advisory Board in 2009 and was later tapped to helm the board, renamed the President's Council on Jobs and Competitiveness, in 2011. At the time, Obama said Immelt "understands what it takes for America to compete in the global economy." This election cycle, Immelt tussled with Democratic candidate Sanders over GE's business practices, but Clinton may have no such qualms. According to Politico, his name has been floated by insiders as a potential Secretary of Commerce. General Electric is a holding in Jim Cramer's Action Alerts PLUS Charitable Trust Portfolio. See how Cramer rates the stock here. Want to be alerted before Cramer buys or sells GE? Learn more now. Tom Nides returned to Morgan Stanley (MS - Get Report) in 2013 after service as Deputy Secretary of State for Management and Resources under the Obama administration since January 2011. And under Clinton, he could be tempted to make the jump back to Washington. Though Nides does not have an official role in Clinton's campaign, he remains close to her camp and is one of her fundraising bundlers. He worked with her at the State Department and initially was rumored to be joining her campaign. He is considered to be contention for a role as her chief of staff. 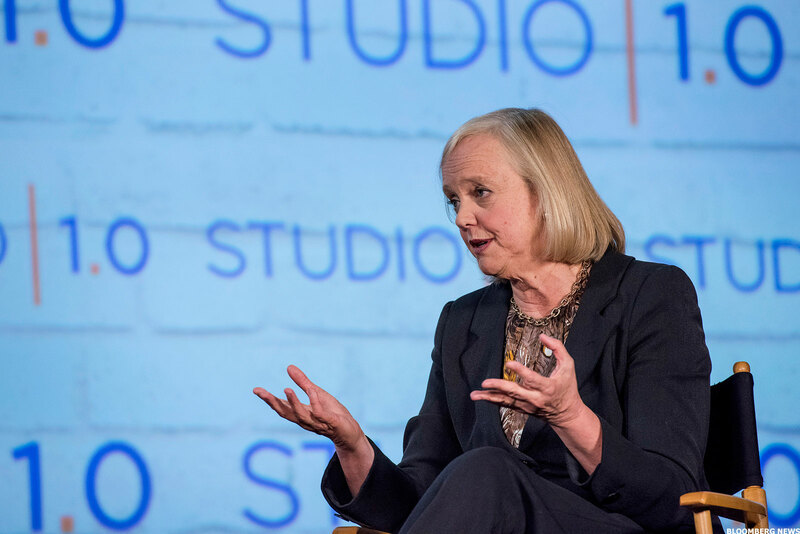 In August, long-time Republican Meg Whitman, CEO of Hewlett Packard Enterprise (HPE - Get Report) , made waves when she announced that not only does she not support GOP nominee Trump, but also that she will be actively supporting Clinton's White House bid. Could Whitman's change of heart translate to a cabinet position if Clinton is elected? Whitman has expressed interest in a life in politics in the past. She ran for governor of California in 2010 and self-funded much of her campaign, eventually losing to Governor Jerry Brown by a wide margin. In 2012, Mitt Romney spoke of the idea of Whitman as a potential member of his cabinet, but she downplayed the buzz. An Hewlett Packard Enterprise representative declined to comment. 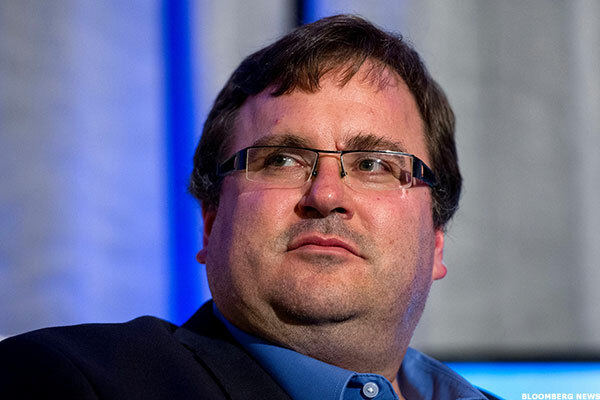 LinkedIn (LNKD cofounder and executive chairman Reid Hoffman is a major Democratic Party supporter and donor. He gave $1 million to Priorities USA Action, a super PAC now backing Clinton that previously supported President Obama, in 2012. In 2014, he gave $1 million to MayDay PAC, a super PAC that aims to curb the influence of money in politics. This election cycle, he has donated the maximum amount for individual contributions to a political campaign, $2,700, to Clinton and, like Sandberg, is among the group of business executives to endorse her. Hoffman has a wide breadth of experience in entrepreneurship, venture capital and the boardroom, having been involved many big-name tech companies, including PayPal (PYPL - Get Report) and Airbnb. He is also listed as a cofounder of Mark Zuckerberg's pro-immigration lobbying group FWD.us. Representatives for Hoffman have not yet replied to request for comment. PayPal is a holding in Jim Cramer's Action Alerts PLUS Charitable Trust Portfolio. See how Cramer rates the stock here. Want to be alerted before Cramer buys or sells PYPL? Learn more now. 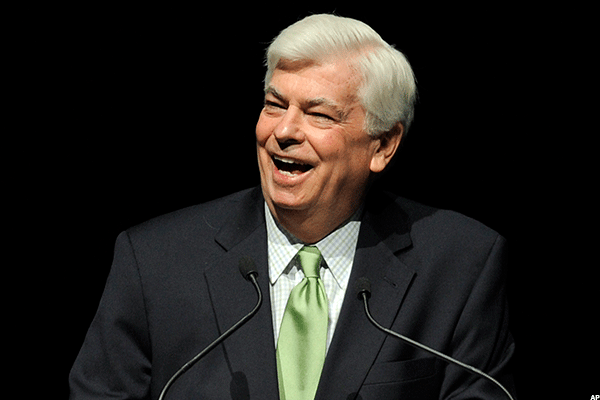 Head of the Motion Picture Association of America (MPAA) since 2011, Chris Dodd is Connecticut's longest-serving Senator, holding the post for 30 years. He chaired the Senate Banking Committee during the financial crisis and was involved in the authoring of Obamacare. He also worked on the Family and Medical Leave Act under President Bill Clinton in 1993 and was a senior member of the Senate Foreign Relations Committee. Dodd has, in the past, demonstrated presidential aspirations of his own, making a bid for the White House in 2008 and dropping out after the Iowa caucuses. He could be a good fit for a number of cabinet positions, including Secretary of State, of Treasury and of Health and Human Services. Dodd declinded to comment via the MPAA. 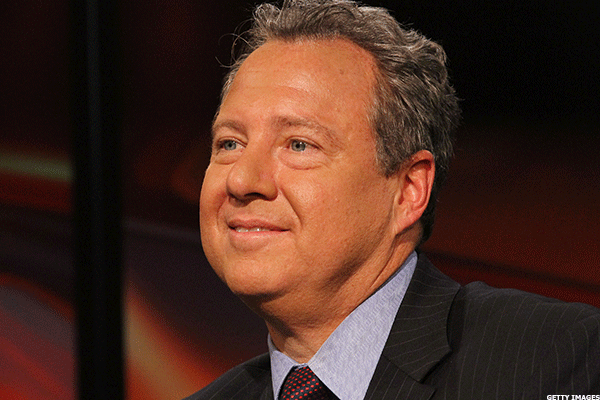 Robert Wolf left UBS (UBS - Get Report) in 2012 to set up his own advisory firm, 32 Advisors. While on Wall Street, Wolf was considered one of President Obama's top supporters and fundraisers, and he reportedly met with Vice President Joe Biden while he was considering his own presidential bid. He donated to the Clinton campaign last year. Under the Obama administration, he has served in a number of capacities, on the Economic Recovery Advisory Board, the Homeland Security Border Infrastructure Task Force and the Export Council. Apart from his work at 32 Advisors, Wolf is also the chairman of a drone startup Measure. Given that experience, perhaps he would make a good Secretary of Transportation under Clinton. Representatives for Wolf did not respond to requests for comment.